If you would have asked me a year ago if I would ever think about running a half marathon, I would’ve politely smiled and boldly stated “NO WAY!” Throughout 2013 & 2014, I was pretty competitive in running 5K’s. I even completed the Spartan race in March of 2014. In the summer of 2014, I ran in my last 5K for a while. I continued to be involved in fitness, but stopped running in competitive races and such. It took me the entire month of January this year to buy in to the idea of taking on such a huge running endeavor, when I hadn’t even been able to run more than a whole mile continuously in years. I closed my eyes, signed up online, and committed myself to this feat. It was then time to start training, because I was officially committed and had deducted over eighty dollars from my bank account to prove it. 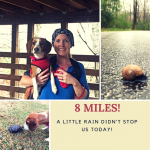 For the entire month of February and almost all of March, I trained with my Beagle puppy Daizi and a good friend, who was an experienced runner. 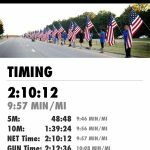 Each week we added on more mileage until we were at 11 miles a few weeks before the race. Fitness goals and pushing your body to its limits somehow spills over into other areas of life that need reviving and encouragement. Finding my strength within has always shown itself in the form of a fitness goal that results in self-confidence, a smaller waist line, and building new friendships in the process. 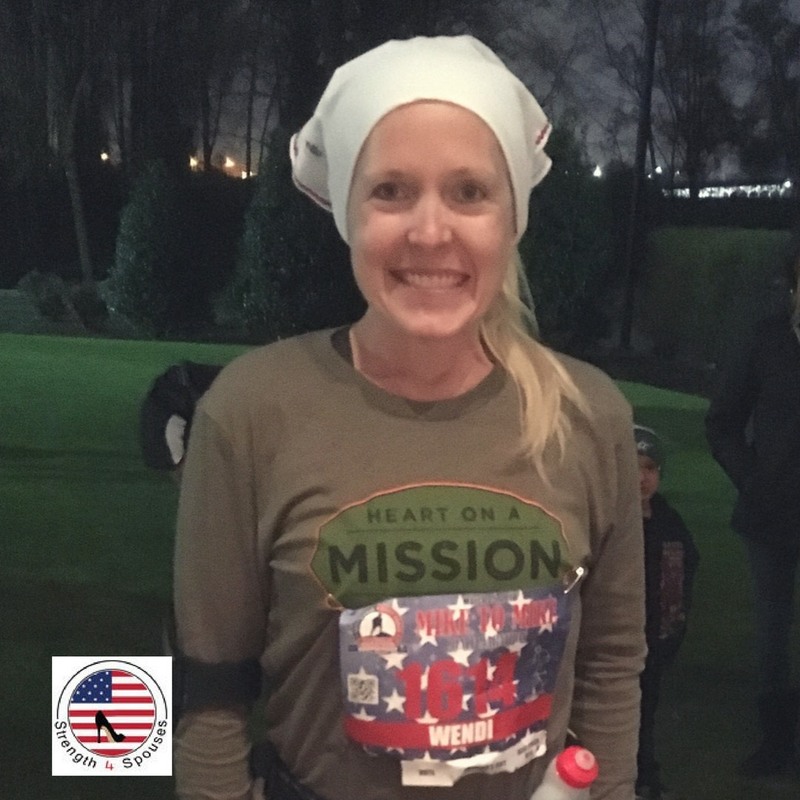 Training for and running in my very first half marathon has brought with it some amazing life lessons that I humbly want to share with you. 1-It takes dedication to achieve greatness. Dedication is not letting anything stop you from your goal. There were many times that I wanted to give up during training or simply just stay in bed. Rainy and cold mornings also tried to distract me from my goal. 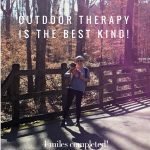 I pushed through it and stuck to my training schedule despite the outdoor elements that were out of my control. 2-The mind is very powerful. For years, I had told myself that I just couldn’t run anymore. My mind was made up that I couldn’t run, so I stopped trying. When I taught my mind that I wouldn’t accept defeat, I surprised myself of how far I could run continuously. Your mind is powerful and can either help you succeed or fail. Train your brain to think optimistically, believe in yourself, and let your mind push you toward your goals. 3-Never underestimate the power within. Everyone has greatness inside. It is fear and doubt that often times hold us back from reaching our fullest potential. 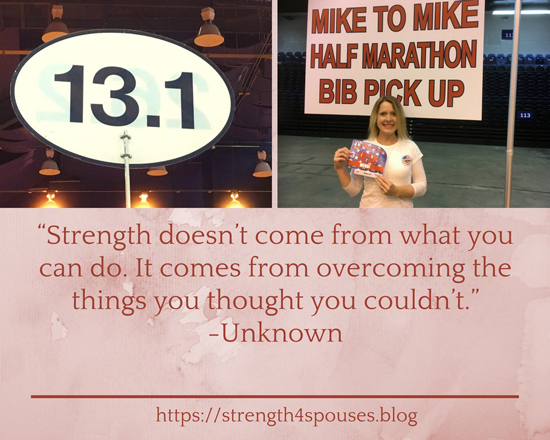 I never knew how much strength existed within me until I pursued long distance running. 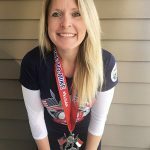 I went from running one mile to running 13.1 nonstop. 4-Rely on and trust in God. I cannot take all of the credit for my 13.1 achievement. My faith played a huge part. I felt God’s presence with me every time I trained and most especially on that frigid thirty something race day. 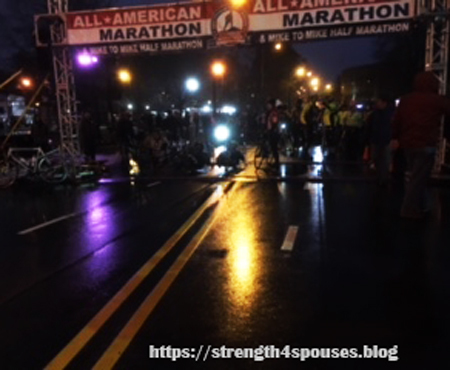 Around mile nine my left knee began to stiffen, which has never happened before. After a heartfelt prayer, my pain began to subside and I somehow found strength and breath to run faster. I know that was almighty God breathing strength into me and carrying me to that finish line. 5-Tackling goals with good friends makes them much more valuable. It always helps you to stay focused on goals when you achieve them with others. My training and running buddy was a huge part of my success. I owe her a ton because she pushed me when I wanted to stop running and walk during training. She really helped show me that I CAN do this, and guided me in the type of running gear I needed to be successful. She even coached and pushed me to the finish line during the race. I will forever cherish our training moments, the multitude of conversations had on the many miles we put in, and how she selflessly helped me achieve this goal. 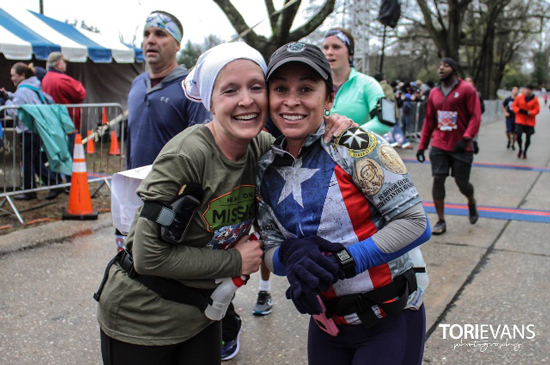 Crossing that finish line with my sweet friend made the moment so much more special! I hope that if you are contemplating your first half marathon, that you will just click on that registration button and do it. You will learn so much about yourself and all of the life lessons mentioned above in the process. It is an experience that will truly be life changing physically, spiritually, and mentally. Love that you conquered the half marathon. The most I have done is 5k but you’ve got me thinking about trying for more! Hi Emily! You should definitely give it a try sometime. You will learn so much in the process and feel amazing afterwards. Very inspiring! Congrats on your first half marathon! This is so inspiring! As one who hates running, I love your point about trusting God for that strength. Thank you so much. God will always pull you through if you rely on him. Faith plays a huge part in tackling goals that otherwise seem impossible. Blessings to you and thank you so much for stoping by.